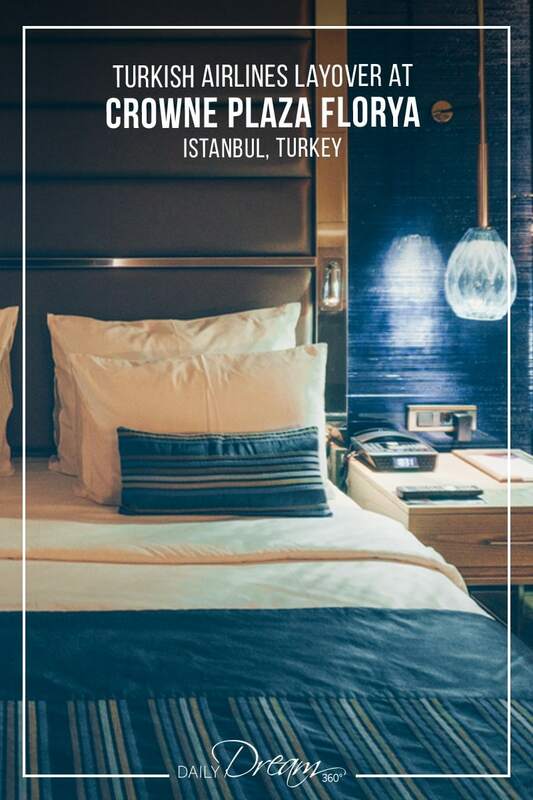 Trying to decide where to stay in Istanbul can be daunting. The city spreads out between Europe and Asia and includes historical downtown and coastal resort spots. 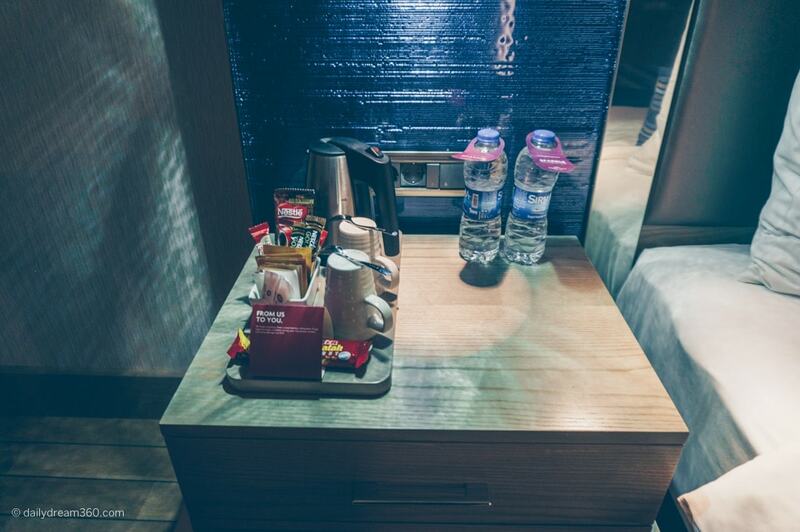 On my recent trip through Istanbul, it was Turkish Airlines that chose the hotel for me. 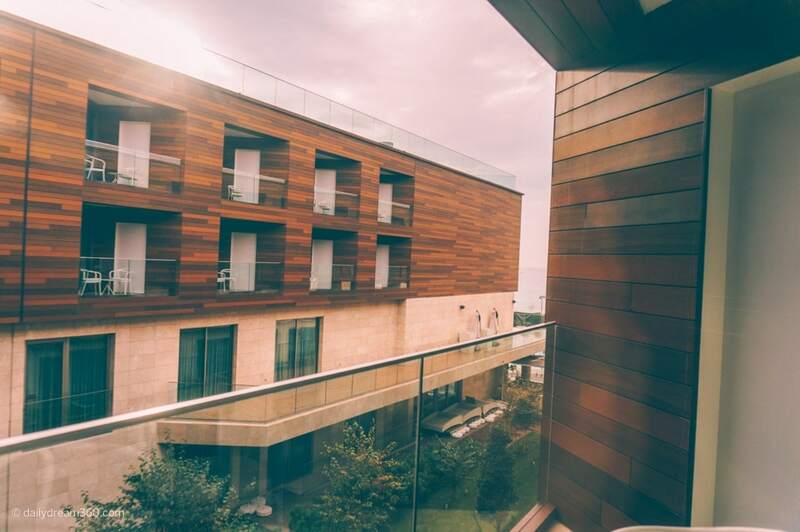 The Crowne Plaza Florya is part of Turkish Airlines layover hotel programs and here’s why we loved it. 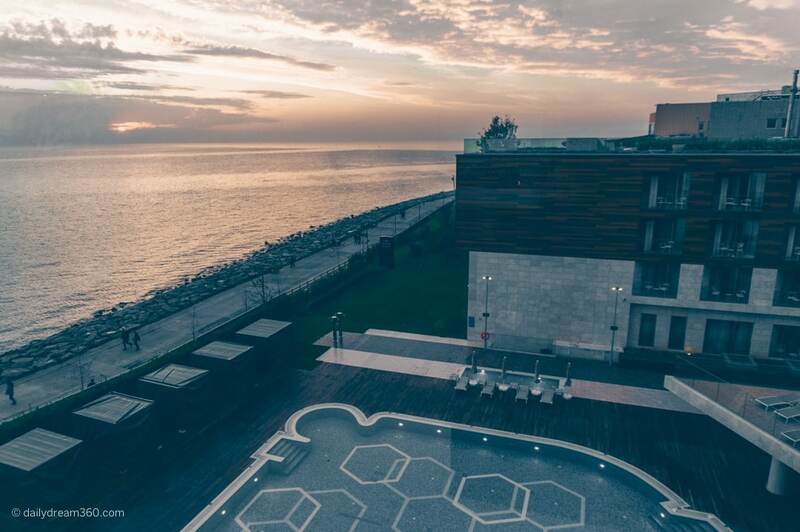 Designated a 5-star IHG property the Crowne Plaza Florya had friendly staff all around the hotel, which very helpful and always smiling. 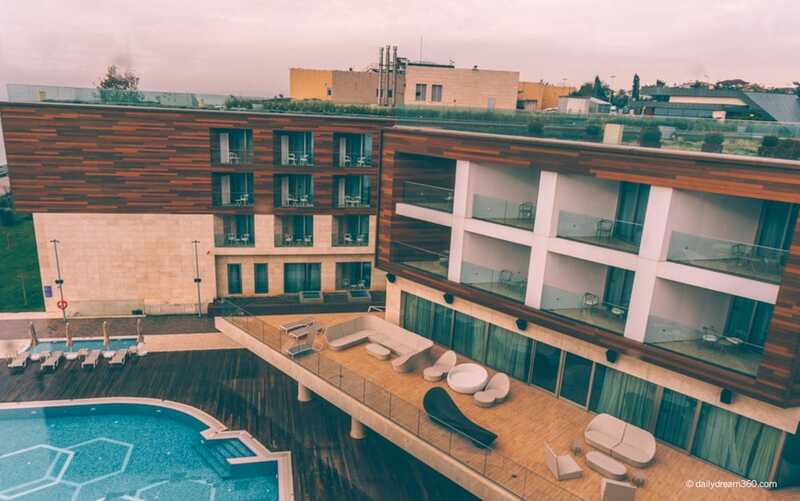 The hotel is located 15 minutes from the Ataturk Airport (scheduled to close in 2019). 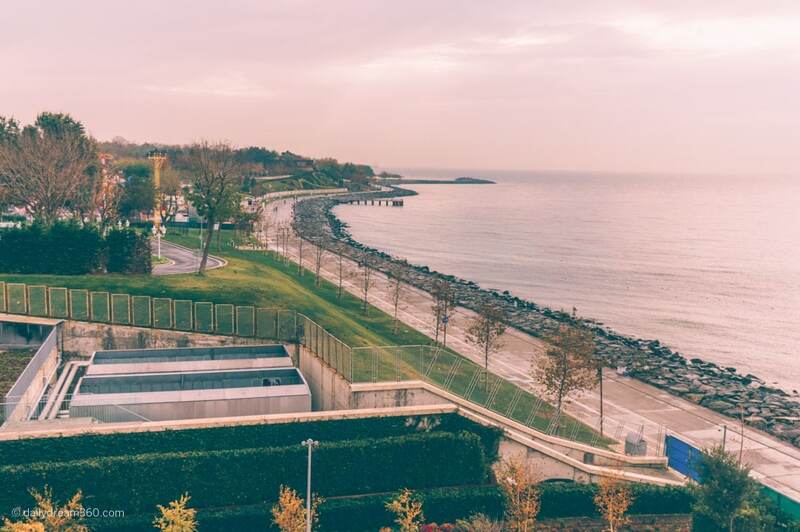 Located along the Sea of Marmara the location is quite beautiful and connects to the waterfront trails. 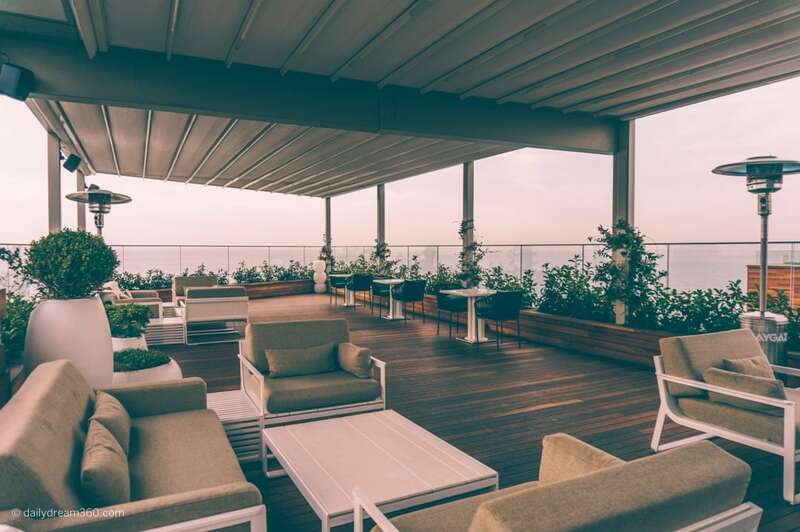 The Florya area has some restaurants with patios overlooking the waterfront and the Istanbul Aquarium and the Aqua Florya Shopping mall which are both located next door to the hotel. Getting into the old city was a 30-minute ride. 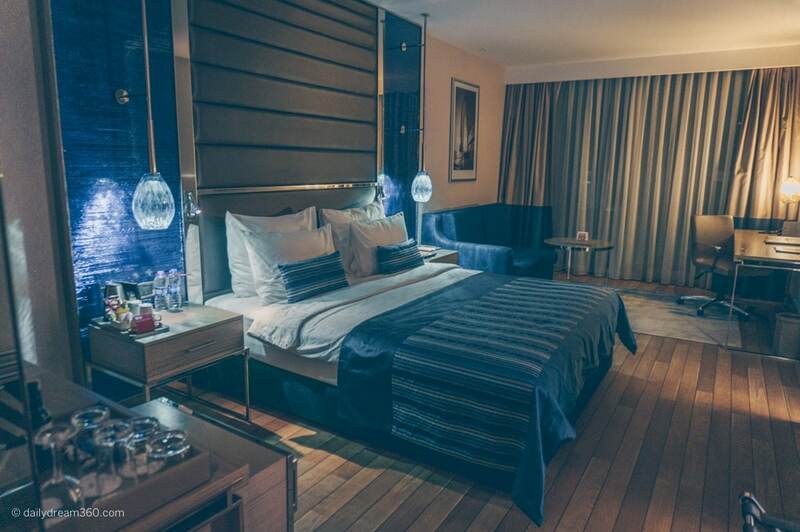 The hotel is located 20km to the city centre and only 12 km to the Sultanahmet & Grand Bazaar. 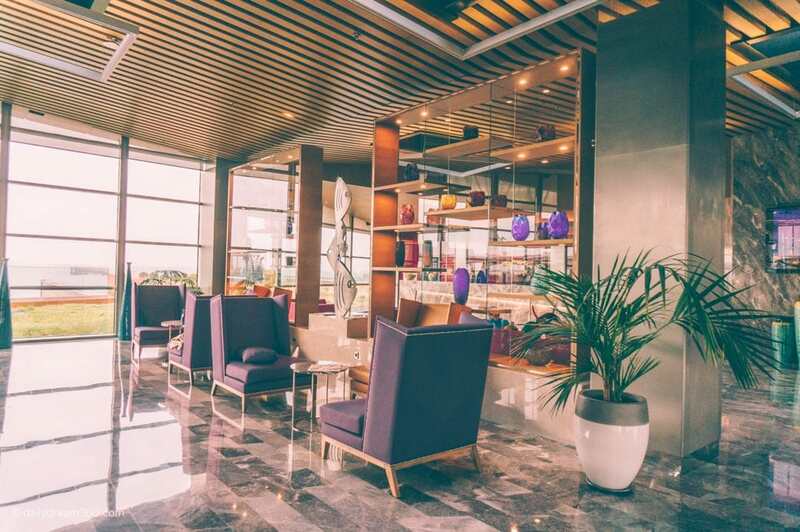 I was visiting on business, and the proximity to the Ataturk airport was a convenience for me. The ride into the city was along the waterfront and quite beautiful. 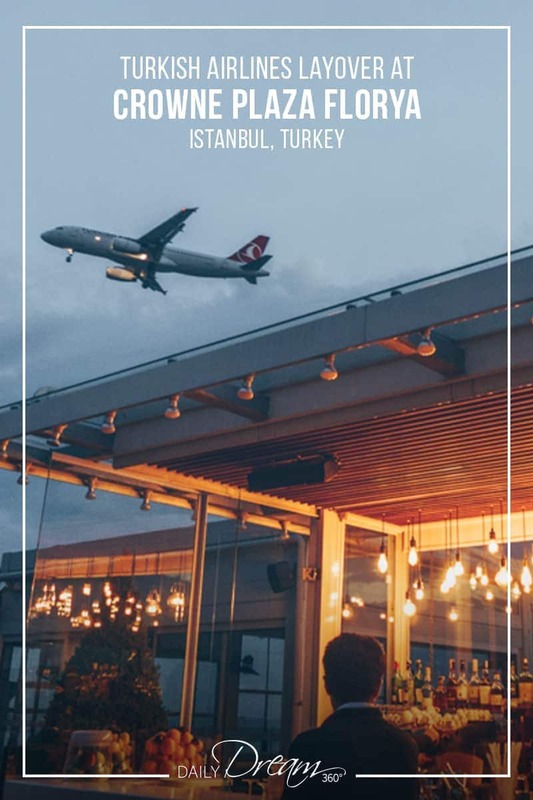 If you are flying through Istanbul as a Turkish Airlines customer, with a layover over 7 hours, you may be eligible for a city tour or hotel accommodation free of charge. 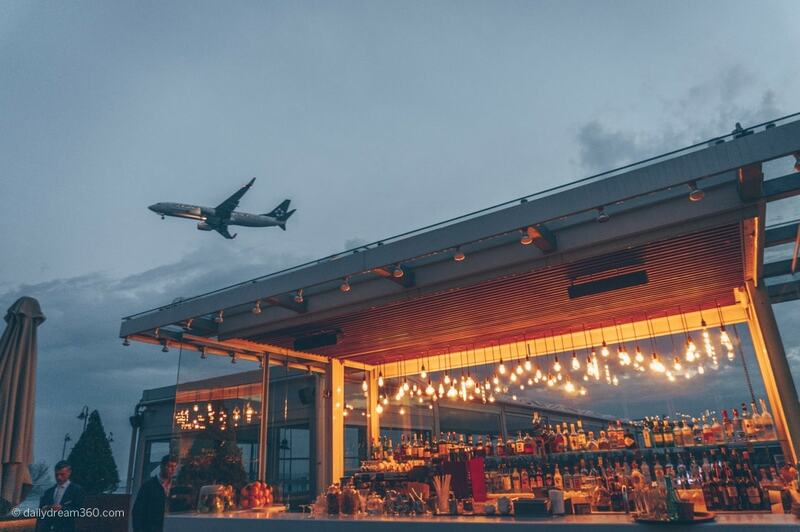 See if your flight and stopover are eligible for their layover program by visiting their website. On TripAdvisor, you may have read as I did about the proximity of the hotel to the Istanbul airport. For me, the passing planes as they landed at the airport did not interfere with my stay at all. Every few minutes a plane flew over and after a while, I stopped noticing it. With windows closed in my room, it did not affect me at all. That said in April 2019, the Ataturk airport will transition to Istanbul’s new airport. This issue of planes flying overhead should correct itself for those planning trips to Istanbul in late 2019 and beyond. My room 3129 was on the 3rd floor on the seaside of the hotel. From the balcony, I could see a small piece of the sea, but mainly I had a view of other rooms and a garden. The room was very spacious. I had a cozy king bed, desk, couch and plenty of closet space. There was a small sitting area with a loveseat and coffee table which gave you a place to relax and read through emails. If you are travelling on business, there is a large desk and ergonomic chair. There were two nightstands with outlets on both sides. You will need European devices or travel adapters for your electronics. I did have to shuffle things around as some of my adapters did not fit into these bedside outlets. The bathroom was massive. Inside there was a large shower area and soaking tub enclosed in a glass room. 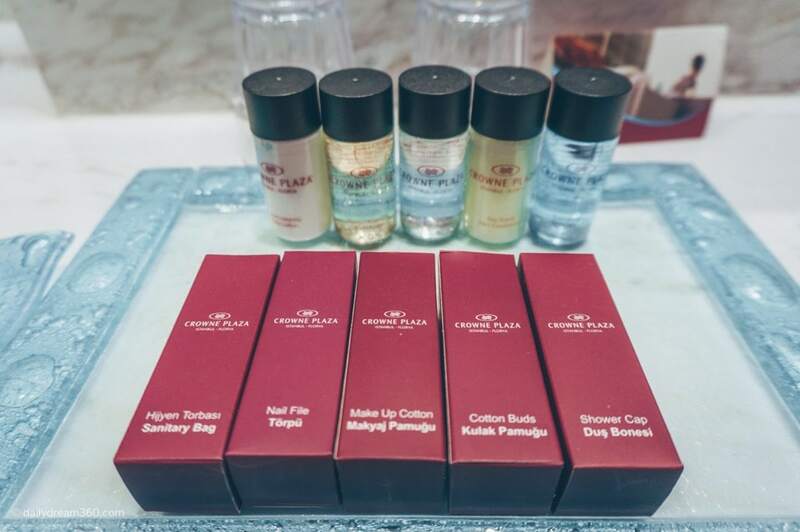 Toiletries provided were generic to Crowne Plaza, but everything you need is sitting and waiting for you. For European travels we recommend these products. Women travelling to Istanbul may be asking what they should be wearing in a conservative country. We put together this travel packing list of What to Wear in Istanbul Packing Tips for Women. Each morning we headed down to the lower floor of the hotel for breakfast included in our room price. The massive buffet featured everything you may want for breakfast from an egg station, cheese, yogurt, fresh fruit and baked goods. The buffet restaurant is huge and included some outdoor seating too for warmer days. We travelled in November, so it was rainy and too cold to enjoy the patios and views of the sea. 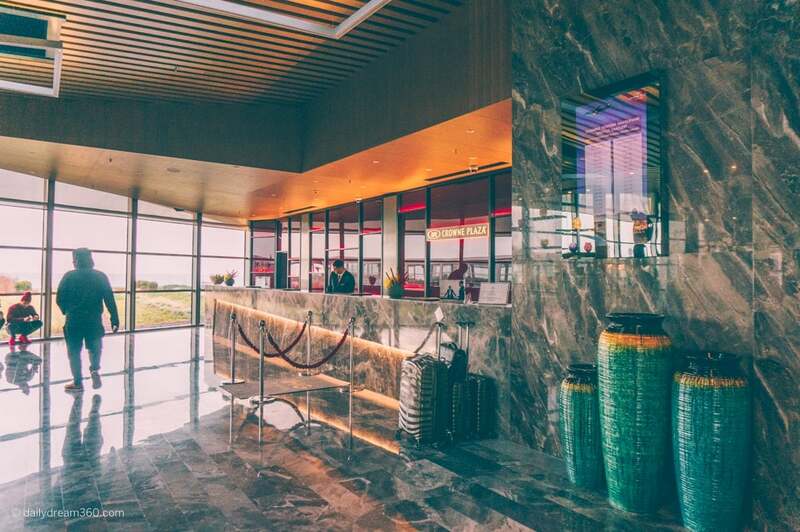 The lobby of the hotel is located on the top floor (street level) and then the hotel goes down towards the waterfront. 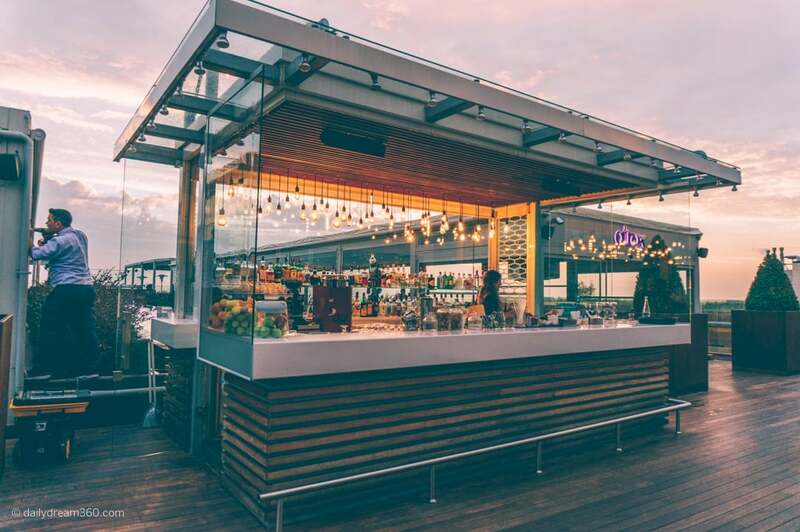 There are two glass enclosures on this rooftop level. We were told the right side was a smoke-free lounge and restaurant area and on the left a place where people could smoke. This left enclosure was also a Hookah bar. That said we spent a few evenings in the lounge and smokers seemed to smoke freely wherever they wanted which was annoying. This lovely bar was always lit up and open both in the morning and at night. 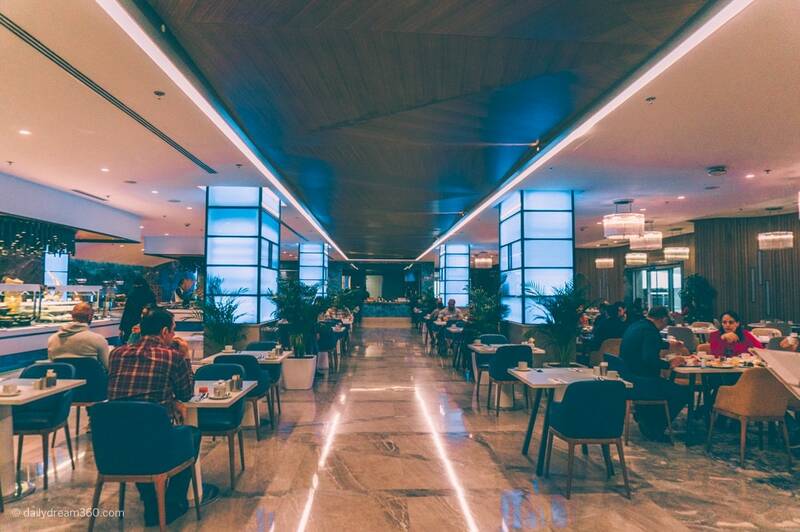 In the morning you can get some fresh juices and coffee and order an ala carte breakfast. 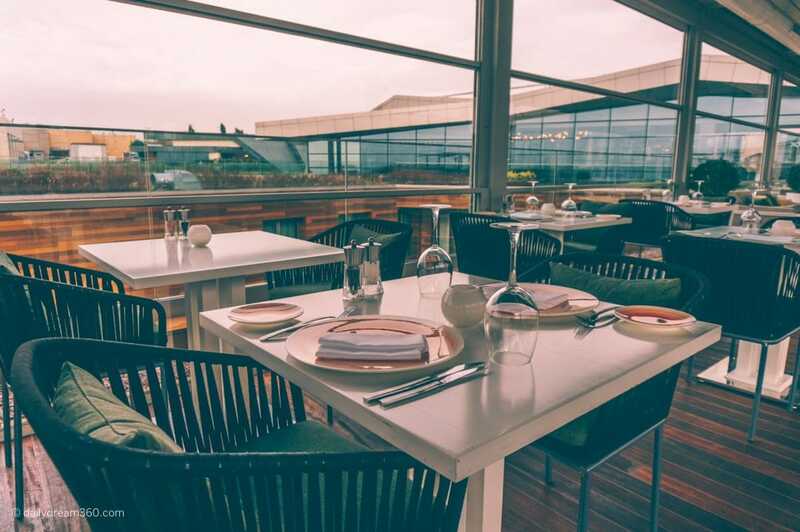 There is also outside seating available on the roof. I believe this is the intended smoking area. It had a partially covered roof and heaters for cooler evenings. This seating area overlooked the sea; it was unfortunate that it was raining and cold during our stay. The fitness room was impressive and included many cardio machines, weight lifting machines and free weights. 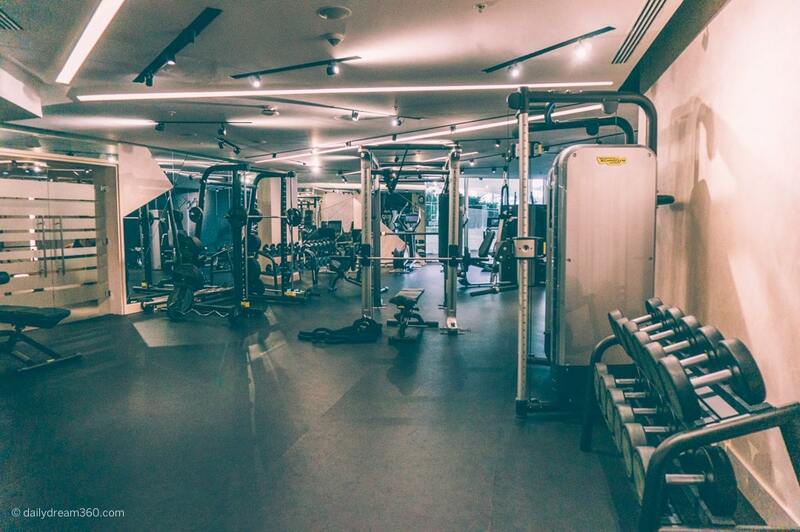 If you are looking for the gym, it can be accessed on the lower level from the health spa entrance. There is an attendant there to direct you. 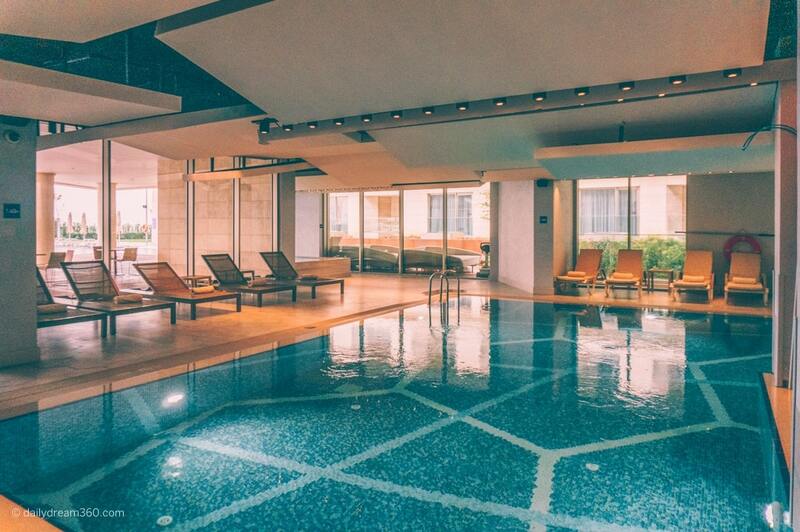 The Crowne Florya Istanbul has two pools and a large indoor pool and decent sized outdoor pool for warmer months. Outside you can lounge on the deck overlooking the sea. There are lounge chairs available both inside and out. 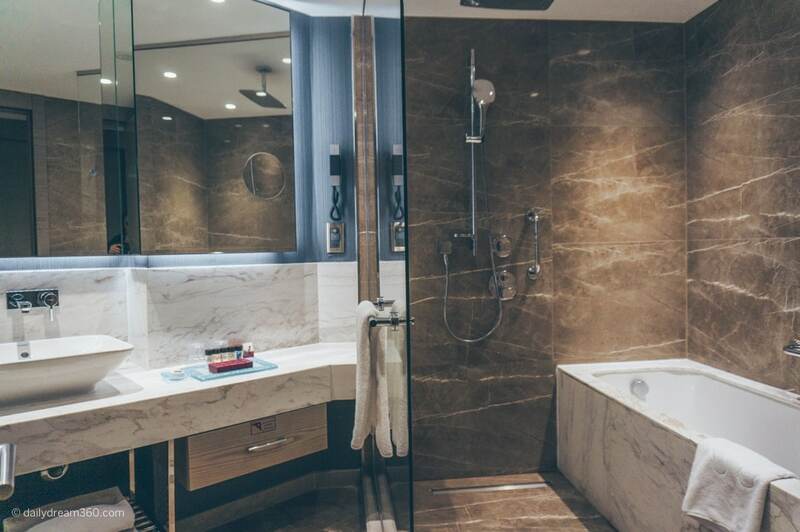 The changerooms also have a Turkish bath, Sauna and Steam room. The hotel spa has some treatments available which unfortunately I did not have time to experience. 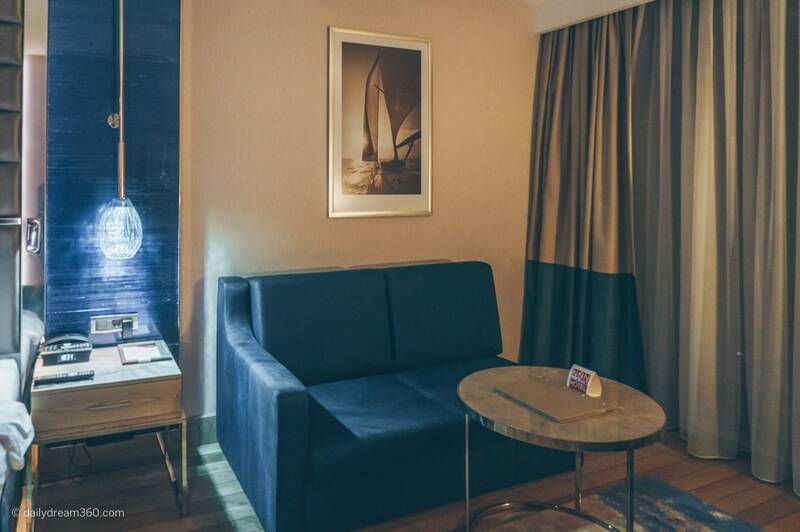 The fifth-floor lobby level also has some sitting areas that are serviced by the bar. There was a bar inside which was closed during our stay, but waiters from the outside bar were happy to bring us some drinks. 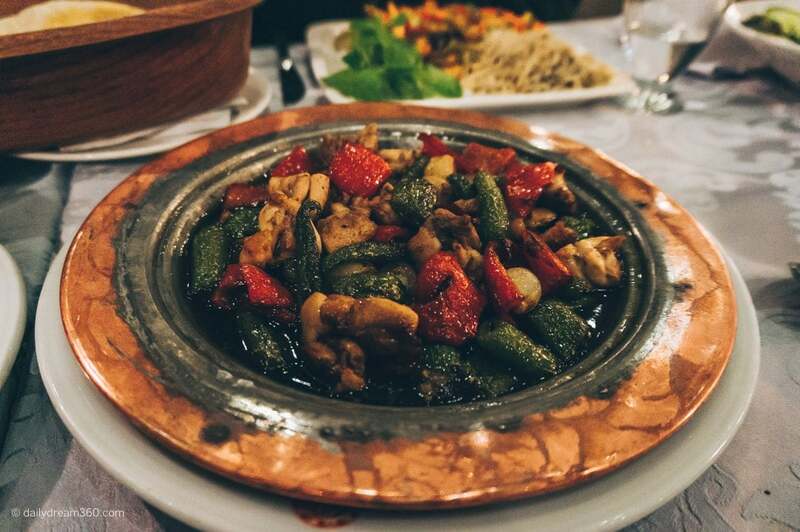 We ate at Hak Evrensel on our first night in Istanbul, and it set the bar very high for the rest of our trip. 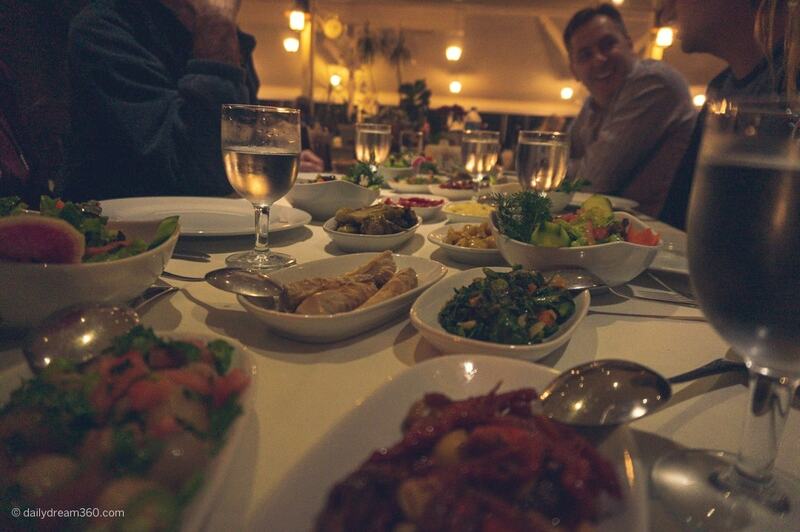 Traditional Turkish cuisine including lots of Middle Eastern salads, vegetable dishes and more filled our table. Everything was delicious, and this ended up being one of my favourite restaurants during our trip. Read reviews on TripAdvisor. 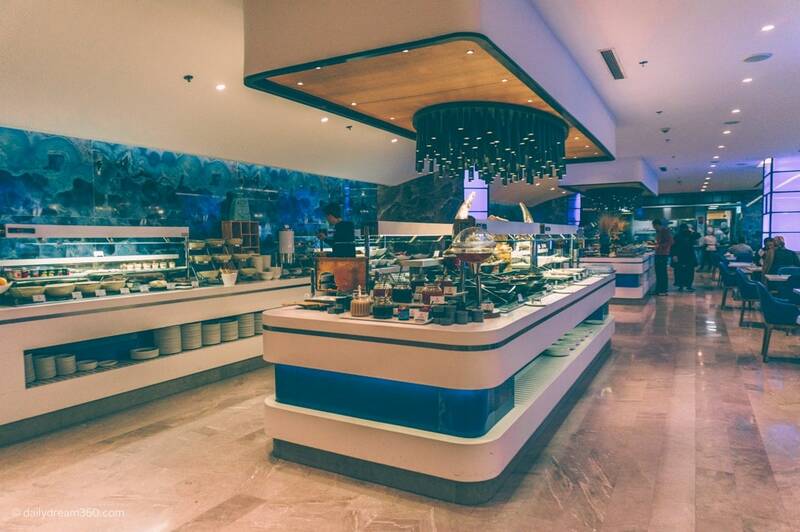 If you are more interested in seafood, then you may want to stop at nearby Massmavi Balik Fish Restaurant. Here we had another table filled with salads and for my main a delicious grilled white fish. Read reviews on TripAdvisor. Travel assistance provided by Turkish Airlines on a media FAM trip, all opinions expressed in this post are my own.